A.I. has the power to transform the world — at least that’s what we’re constantly being told. Yes, it powers voice assistants and robotic dogs, but there are some legitimate areas where A.I. is not only making things easier and more convenient. In the case of medicine and health care, it’s actually saving lives. There has been pushback lately, though. Medical professionals and government officials are bullish about the long-term potential of artificial intelligence’s transformative powers, but researchers are taking a more cautious and measured approach to implementation. In just the past year, we’ve seen huge leaps forward that take A.I.’s potential in medical care and turn it into a reality. Today, we stand on the brink of a significant transformation in how we’ll all experience and use our medical data in the future. 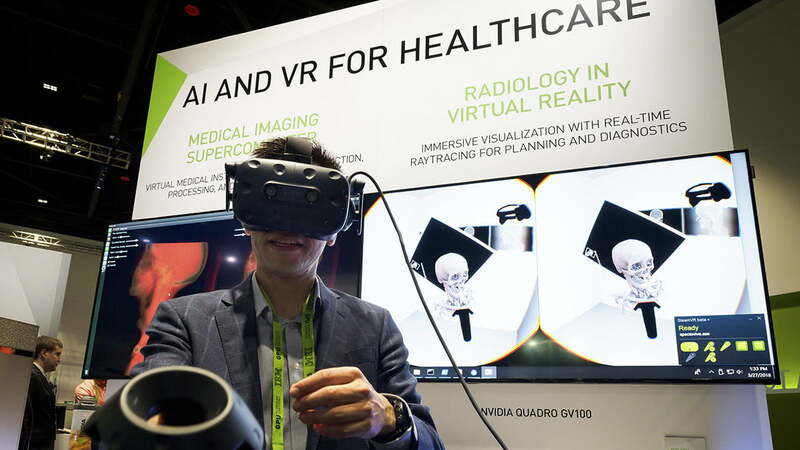 Radiologists from participating health systems at GTC this year, including White, Dr. Paul Chang, a professor and vice chairman from the University of Chicago, and Dr. Christopher Hess, a professor and chair of radiology from the University of California, San Francisco (UCSF), began exploring A.I. simply because the amount of medical data from improved imaging scans became overwhelming. But Chang cautions his fellow practitioners from being “seduced” by the new technology, noting that it must be correctly implemented to be effective. “You can’t prematurely incorporate A.I. into a system that’s broken,” he said. In many ways, it’s that exact scenario that has led us to where we are today. The current practice of medicine right now is centered around algorithms and electronic health records. This software isn’t centered on patient care or learning, but it’s a system of categorizing treatments, which in turn allows insurers to pay doctors for services that were performed. People can actually monetize their data as a latent economic asset. That’s the promise of deep learning. For White, changing how data flows through the system is an important first step to being able to truly leverage the power of A.I. Unlike other fields where A.I. has largely been seen as successful technology enablers, such as customer service and autonomous driving, the healthcare vertical has been saddled with regulations designed to protect patient privacy rights. For Anthem, the nation’s second provider of health insurance covering more than 40 million Americans, if sharing data is more convenient, patients would feel more compelled to do it. As mobile devices become more powerful, healthcare professionals envision a world where the patients own and store the data on their devices, leaving health institutions responsible to create a system where the data can be anonymized, shared, and exchanged. A larger pool of data shared by patients could lead to more accurate clinical studies and reduce bias in medicine. In this model, researchers want to rely on edge learning rather than the cloud to process the data. Instead of setting information to the cloud, edge learning relies on the Apple model for A.I. where data is stored and processed locally, promising a higher degree of privacy. And because data is processed locally, it can be processed much faster, De Brouwer claimed. With technology enablers, like 5G, connected home sensors, and smart health devices, medical researchers may soon have access to new data sources that they may not have considered as relevant for their medical research today. As part of its initiative for the responsible and ethical use of A.I., Anthem is now working with data scientists to evaluate 17 million records from its databases to ensure that there aren’t any biases in the algorithms that it has created. Additionally, when you have limited data, bias can also creep in more easily, Hess explained, is that it can skew medical studies and interpretations of results. Citing Stanford University’s research showcasing how A.I.-derived algorithms are “better” at detecting pneumonia than actual radiologists, Hess showed some of the fallacies in the presumption. While A.I. is good at repetitive, time-consuming tasks you still need the human interaction in patient care. “What is better,” asked a facetious Hess trying to extract a definition of the word better. While Hess admitted that Stanford’s algorithms had a high success rate – upwards of 75 percent – at detecting pneumonia by reading X-rays and other scans, it still underperformed when compared against the diagnoses made by four radiologists cited in the study. Though Hess views A.I. as a time-saving technology that allows physicians to go back to patient care rather than spend time on coding charts, he warns that the technology isn’t quite perfect, noting that A.I.’s object detection algorithms can completely misidentify scans. As such, Hess and his colleagues view A.I. as a complementary technology in medicine that will help, not replace, human doctors. While A.I. 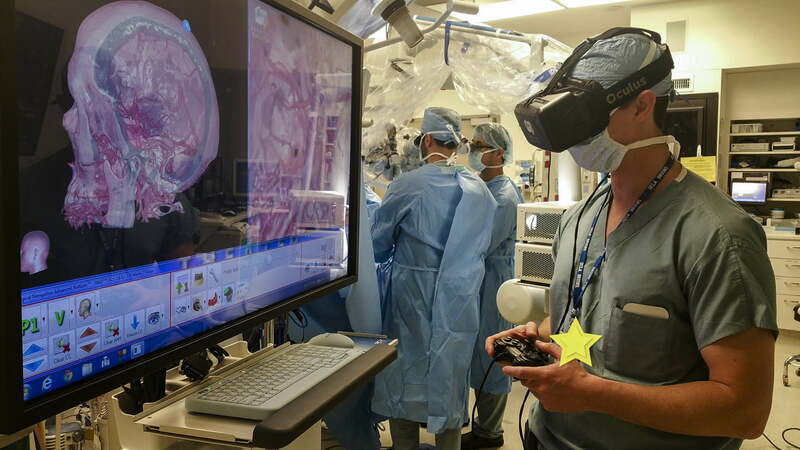 is good at repetitive, time-consuming tasks of identifying tumors and abnormalities in scans, Chang said, you still need the human interaction in patient care. Rather, to interpret the massive troves of data that will be collected, industry observers predict that a single doctor will create numerous additional jobs for data scientists to create algorithms to help make sense of that data. “We’re going to have the same in medicine. I think that every doctor will create a hundred data scientist jobs, so healthcare will become a continuous function,” De Brouwer said.